As the third largest city of Germany, Munich definitely has a lot to offer. 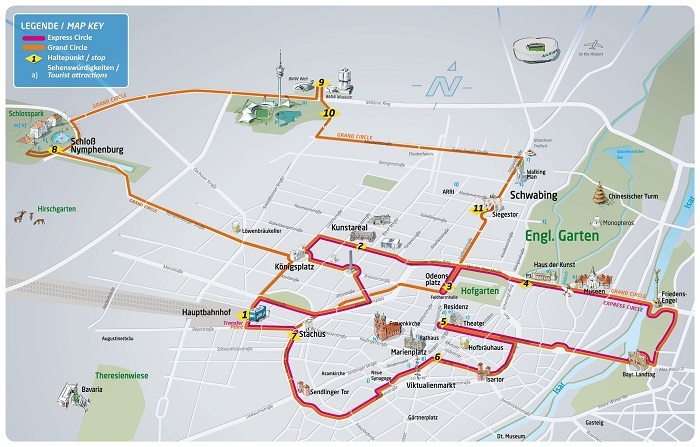 Thus, visitors to the city may be able to benefit from the use of a Munich tour map that will guide them into exploring the city on their own. 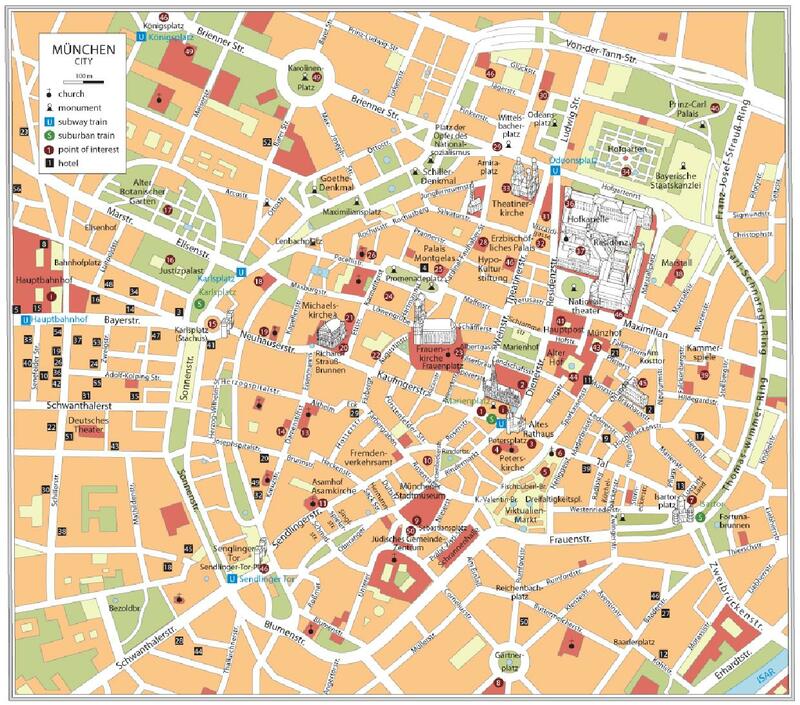 This is why here at Tripindicator we have provided a free copy of the map of Munich that will serve as your guide into exploring the most exciting attractions in the Munich, such as the Nymphenburg Palace, Marienplatz, Englischer Garten, the Munich Residenz, and more! For an easier and more convenient way to explore the city, do check out our Munich interactive map. This is especially ideal for tourists who would prefer to access the map online instead of looking at a physical map. For tourists who prefer to carry with them an actual physical map of the city, then check out the printable map of Munich. Our goal is to help make it easy for visitors to discover Munich's famous attractions. If you are not sure what to see in the city on your first visit, then the Munich city sightseeing maps will be useful for you. It's also possible to explore Munich on foot! 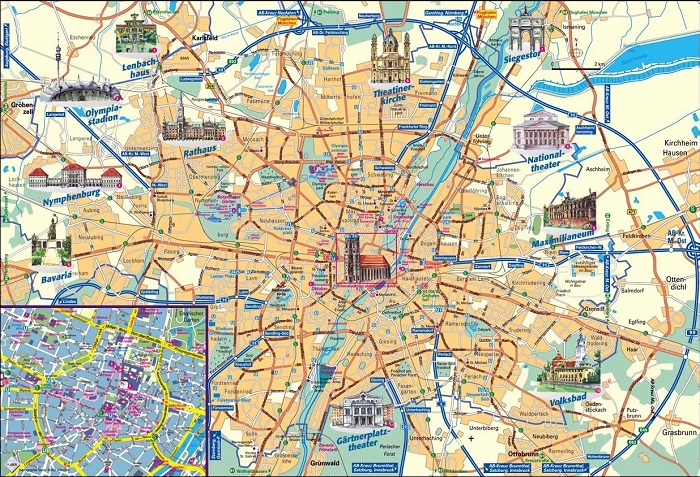 But in order not to get lost in the busy city streets, go get yourself a copy of the Munich tourist map walking. The Munich U-Bahn is Munich's mass transportation system and a great way to explore the city. 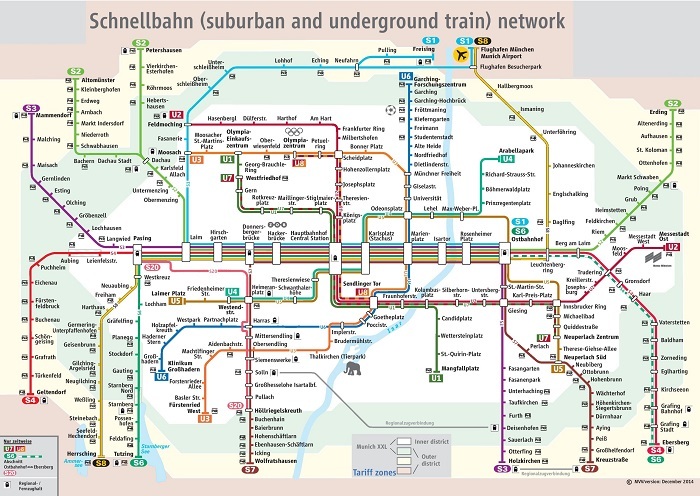 If you're going to take the train, go check out our Munich metro map with attractions so you will know which places the metro will take you to. 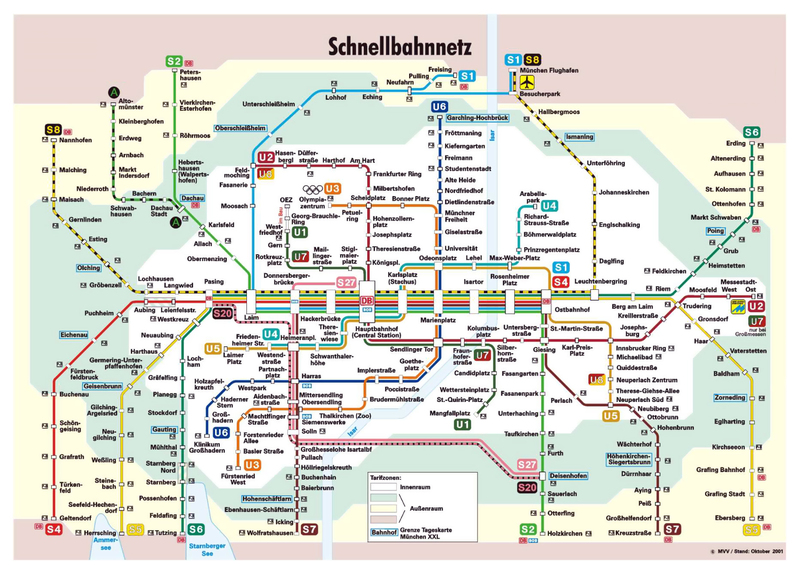 For a more comfortable way of exploring the city, check out our Munich hop on hop off bus map. Regardless of the kind of traveler that you are, whether you're exploring Munich on your own or with a group of friends, we have different kinds of maps available for you to use. Aside from the Munich tourist map pdf and the printable tourist map of Munich, we also have a tourist information Munich map, which comes in very handy for tourists who have no idea which places to check out during their tour of the city.